Morning everyone – it’s another quick Monday morning one from me, as I’m hitting the road back to Dublin shortly. Collating match reports is, in any event, an easy enough job to do after an FBD game as there’s never a whole pile of reports to gather. Here’s what’s out there this morning on yesterday’s defeat to the Rossies. 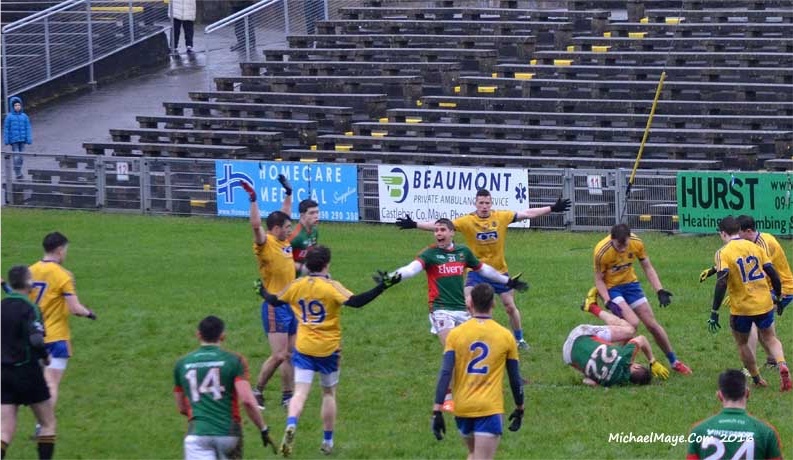 Let’s start with the Mayo Advertiser, where Colm Gannon has his match report and an audio piece on the game, which also includes a few post-match quotes from Stephen Rochford. In that audio, Stephen provides some details on the injuries, saying that Keith Higgins and Kevin Keane will need to get scans and are likely to miss the first few League games, while the knock that forced Conor Loftus off appears to be just a minor one. Talking of audio, in case you missed them yesterday, my own post-match mumblings that I did after the final whistle sounded at MacHale Park are here. Sticking with the locals, John Melvin’s match report in the Connaught Telegraph is here. The pick of the nationals is the Irish Independent, where Colm Keys’ match report (here) contains quotes from both Stephen Rochford and Kevin McStay. The Irish Times, meanwhile, have an utterly daft headline over their match report, while all the Irish Examiner can muster is a half-hearted round-up of all the day’s FBD action. Even the Irish Sun manages to top that with a full-blown match report (here). That’s the lot – time for the rubber to hit the road. Have a good day, y’all. It’s a gloomy Monday we have here but at least it’s mild dry and calm.And gloomy it may be but as long as you find your eyes opening in the morning and your legs can shift a bit,then all is pretty good! Some realism stepped into our realm yesterday with our new spate of injuries and together with prior commitments of many of our players,the ambition to’win’ the league ‘as well’ is brought into stark focus. As posted by many,it seems we might be lucky to survive in our division this spring.To compound the matter,S McJale is easily caught on the turn,O’Hora is too small and Loftus has yet to prove himself for some.So,all in all the gloominess that’s abroad is appropriate considering our present resources. However,best thing to do is heads up….more games for fringe players,much needed rest for deserving individuals and all sweeping in an air of calm expectation and freshness.So what if we merely scrape by or even have to visit div 2.So long as we compete as best we can,and that we’ll do no doubt we ll be happy to take the results. Also,it ll be a great oppertunity and a challenge for our new management to show what they ‘re about. And sure we know that out of adversity,often,great thing can emerge and much strength comes from trying to do things that are difficult or even that you thought were beyond you. I’m pushing the case there a bit but you know what I mean ! That’s all that matters now and at least one win in the league before the visit of the cute hoor brigade to Castlebar is doable . By then it’s near mid March and hopefully we will have more lads fit and ready to get the points necessary to stay up , last three games are very winnable and we are like most of the top teams should be looking to be separate ourselves from the chasing pack at that time of year. I wouldn’t be getting gloomy at all yet , plenty of time for that mood if we are putting in bad performances in said games. Higgins and Keane … We will know more I’d say towards the end of the week. Drake … Sure I read somewhere he’s carrying a knock and unavailable at present. dont give up on division 1 just yet inbetweener , we havent even kicked a ball in it! if we have to win the last 2 games to stay up then we’ll win them , if its too late by then I wont cry either. the league is a non-event except for blooding fellas and fitness. sure the dubs like to win it but kerry dont give a damn about it , we lie somewhere in the middle. division 1 status is important as the winner of sam will come from there. i cant get too upset about yesterday, I will be very annoyed if we do not beat roscommon in the league however. As it’s a gloomy Monday (like the end of the world here in Dublin), why not continue with a gloomy scenario? : Rossies to stay up, Mayo to go down. It’s a very tight division and any team is as likely to go down as win it. Look at Derry: finalists in 14, relegated in 15; Kerry perennially teetering; ourselves yo-yoing between going down and landing in the semis. Rossies, per McStay, are going all out for a good start anyway. They have to and their fitness could help them early on. We, for good reasons, are in the opposite position, and it will take a while for our newbies to mature, though the example of Diarmaid O’Connor is a hopeful portent. Hi all, Just got the result in a a far distant Country and was delighted that Roscommon had won. The anti Roscommon vibe on this site sickens me. I believe Mayo Supporters had a similar outlook in 1950 and 1951. See some of you in Cork. ciaran2. Roscommon posters since yesterday have been to some extent playing down the strength of their team. But try as I can only the name of Ronan Daly seems unfamiliar to me. Perhaps some of the others might not be in the first choice 15 but there is a huge difference in total newcomers [never played in Championship or NFL, of whom Mayo had 5], and regular panel members. Perhaps some Rossie poster might correct me if I am wrong. While we have some injuries we can still line out a strong team against Cork. I believe all of these to be available and all have championship experience. Jesus dont tell me it will take a Roscommon man to lift the spirits of Mayo supporters. What the feck have ye to be gloomy about. All I hear from the red and green brigade is how brillant the support is and how ye come year after year despite the heartache. If the Rossies had provided me with the same entertainment as Mayo has done for ye in the last 5 years i wud be a very happy and proud man. Dont take things too serious. Every team has injuries and im sure ye will survive Division 1. I would be more worried about ourselves going down. Ideal situation wud be both teams stay up. I Deffo do not hate the Rossies Shane , but I love it when we beat them! Backdoor Sam, keep your chin up re the personal matter you referred to. Think the comments were that we had a full strength team out and the Ros Posters were that they wouldnt be starting come a league or championship game. This is of course we had a fully fit panel to pick from. McInerney and Ronan Daly wud be new there but have plenty of U21 and I imagine Ronan Daly played against ye in last years FBD also. I suppose Darren O’Malley, David Murray, Donie Shine, Cathal Shine, Kevin Higgins and Ultan Harney would all be looking to be starting in the league. This is new management so anything cud happen. I took a look there at our starting team against Fermanagh last year in the championship and only 7 of them started yesterday. The point u make today about regular squad members is slightly different to what was said yesterday hence the posts. Oh Lord if we cud start with a win against Monaghan wud be great as we are then away to Kerry and Cork so we need 1 win at least from that. There is no doubt the Rossies are targeting Monaghan Down and Mayo for 3 wins and 6 points wud keep you up. We have the Dubs last game in the Hyde so if we are not safe at that stage I wouldnt think we will be afterwards. Yesterday’s challenge game should be forgotten about. I missed the game but any new guys likely to make the step up would be of more concern….Conor Loftus? 7 points will probably be enough to reach the semi final and i believe Rochford and co go will that target than just be happy to stay up. 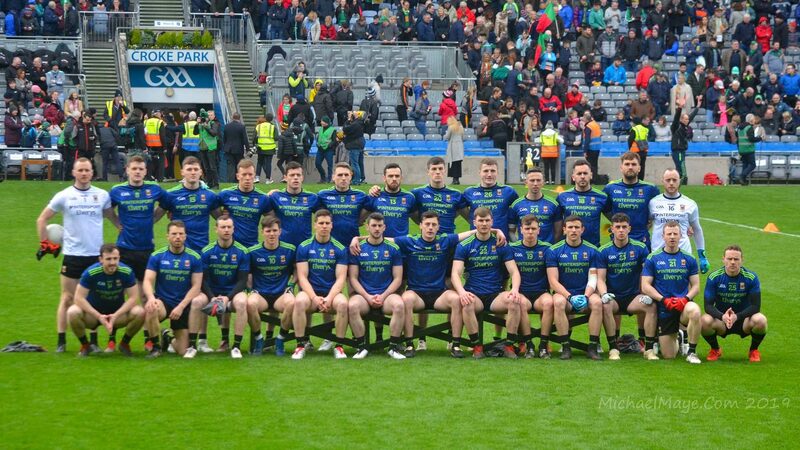 The injured players would back If Mayo do reach the semi final and that would give Mayo the best opportunity to win the league which would be a first national title for 15 years. I should also note the bookies have Mayo 2nd favs to win the league. A normally reliable little bird from Leitrim tells me that Roscommon tried to get Leitrim’s Pairc Sean MacDiarmada for yesterday’s game before finally agreeing to Castlebar as a venue. Which.if true, puts paid to the conspiracy theory floating among some on this site last week that the switch to Castlebar was a Roscommon plot to get a win at MacHale Park before a possible Connacht Final. I went to the first two games of the fbd and from i heard from the weekends game I believe we have found a number of players that can improve us this year. Kenny, Nally, Gibbons, Loftus and Rutledge. With Higgins injured I would like to see Kenny given time to show his class during the league. Loftus is a class act and if he can get fitter and sharper he can be a massive asset, also Rutledge has something we lack in the forwards and that is pace. I am looking forward to seeing Douglas and Kirby too when they are back. Exciting times lie ahead!